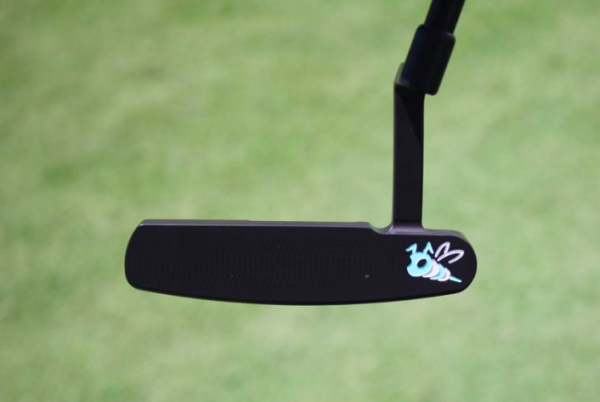 WRX Custom Putter Showcase: Pick the Winner! 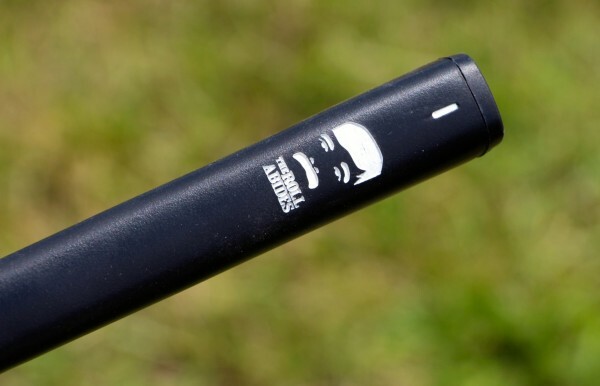 You have just stumbled into putter heaven, a land where no one cares about making putts. There’s only one thing that truly matters here: how awesome looking is the club? 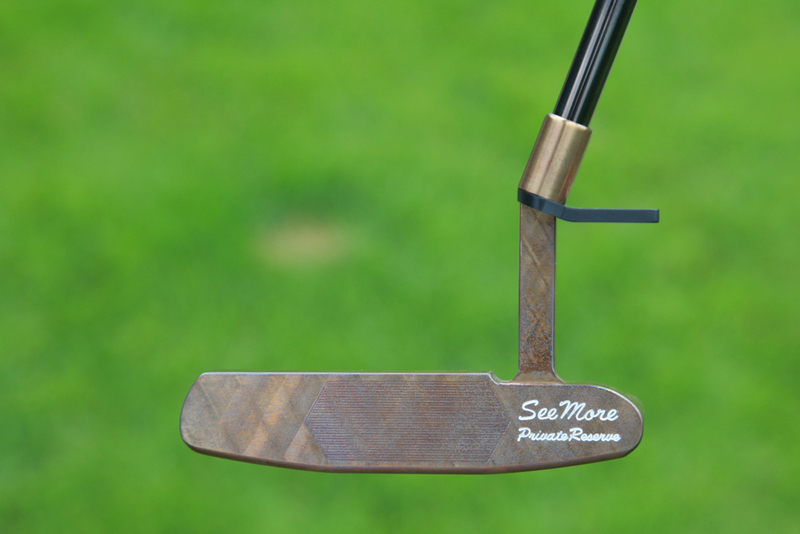 We sent out a challenge to some of the industry’s top boutique putter makers and told them to dream big. 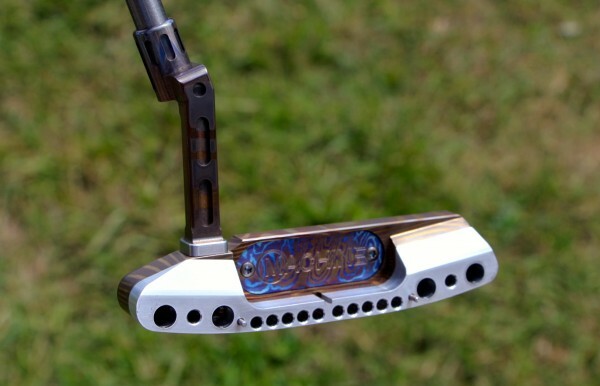 No rules, just design the coolest custom putter anyone has ever seen before. Easy enough, right? So we’re putting the vote to you, the reader, to decide which company churned out the best design. 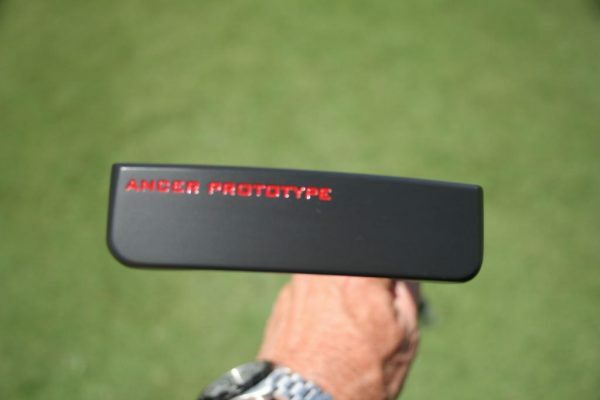 To help you out, we’ll provide the project name, the designer, the technology and what went into designing each putter. Of course, there are also a ton of of photos. 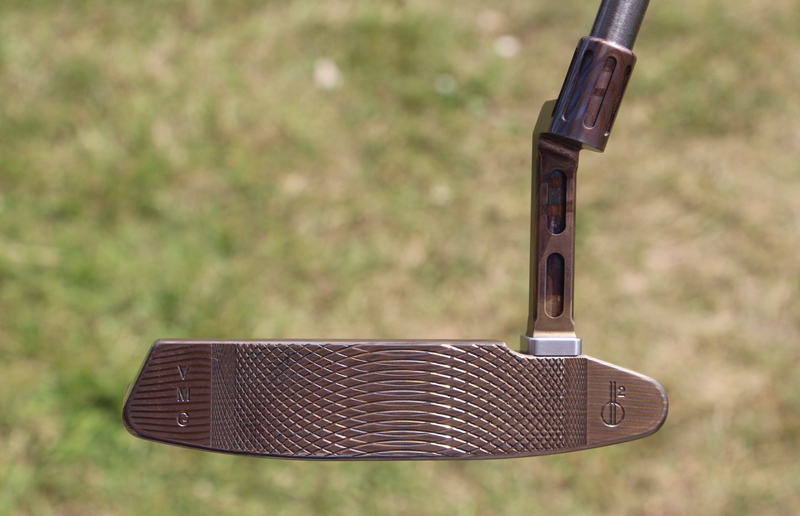 Make sure to vote — the poll is at the bottom of this page — and leave your thoughts about each putter in the comment section at the end of this story. 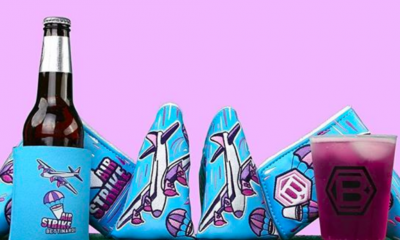 Enjoy your experience in a land where three-putts don’t matter and looking good reigns supreme. Tech Info: This putter remains true to its name; it’s a MACHINE. It has all the bells, whistles and gadgets you’d expect from something with such a name. The Delta Proto-1 offers three interchangeable grips (two leather, one aluminum), six weights and two back flanges, which like the head and neck are made from flame-torched Stainless Steel Damascus with a Damascus Titanium logo medallion and has Delta Mod Adjusters that can be stacked to adjust the balance/toe hang. 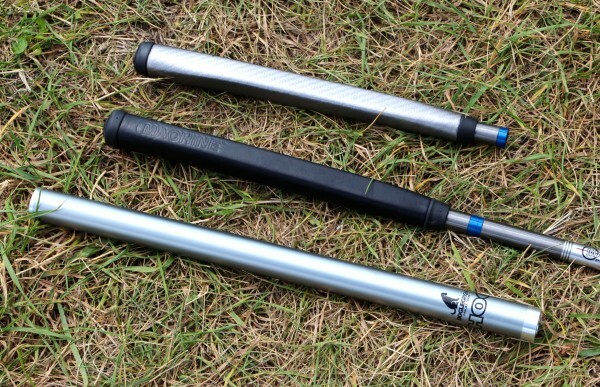 Wait, did I just say that one of the grips was made from aluminum? 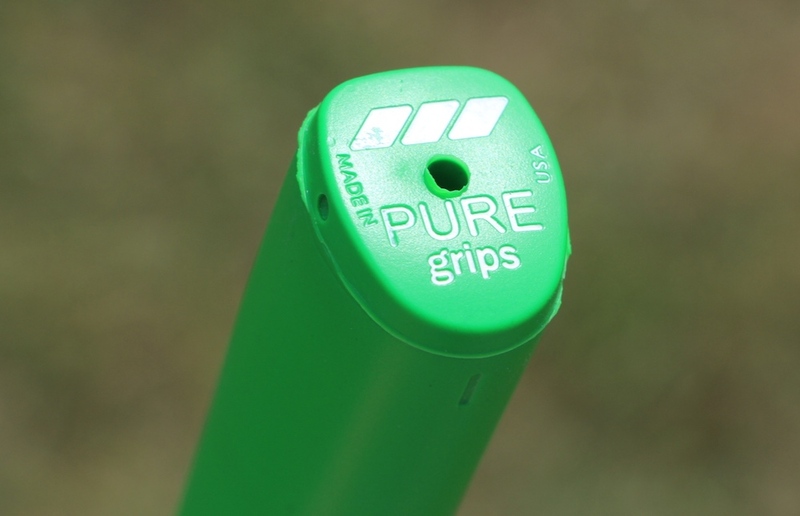 Yes, one of the grips, called a Hog, is made from 6061 Aerospace Aluminum Alloy that offers a unique, round grip feel and helps with counterbalancing. 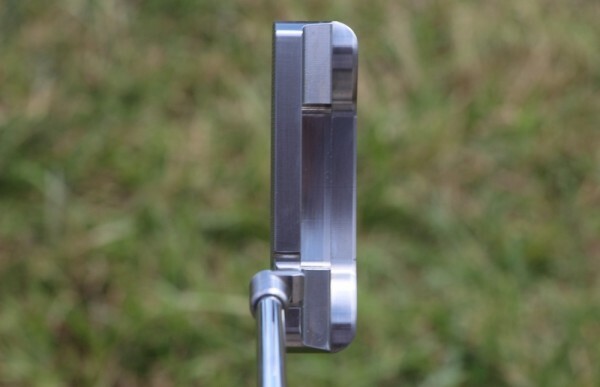 The putter also has a “skeletonized” neck and hosel, which come in the form of spine-like cut outs, and one of the back flanges has “bongo” cuts that look like bongo (or zebra) stripes. The finish on the putter was also produced with a torching process that makes this prototype feel right at home in the jungle. 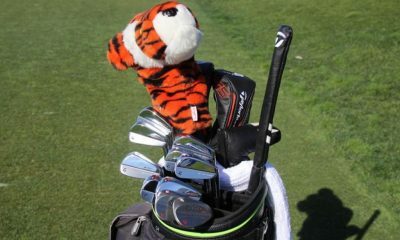 Do golf courses actually allow this putter near their premises? 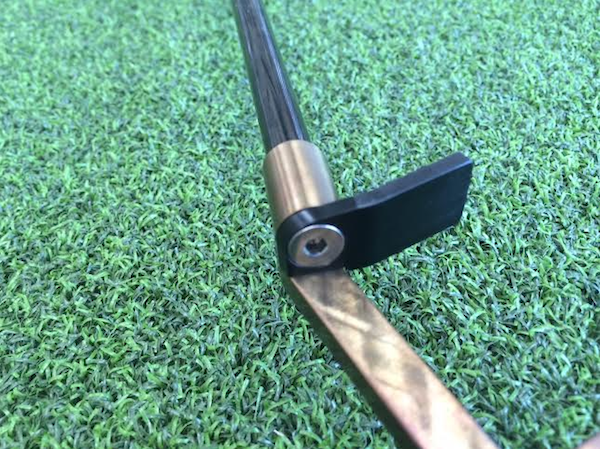 Just add a “dab of epoxy” and this baby is USGA conforming, Billings says. Tech Info: The Chive and WRX unite at last. “Keep Calm and Chive On” is The Chive’s calling card, and you’ve undoubtedly seen someone on the street or in a bar with a Chive T-shirt or sweatshirt. 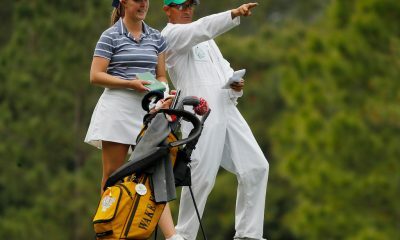 Surely there’s some GolfWRXers who are also part of Chive Nation? And it’s for charity. 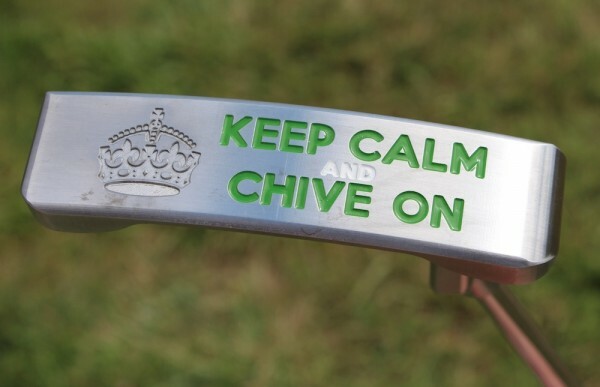 A certain percentage of profits from each “Keep Calm and Chive On” putter will go to ChiveCharities. 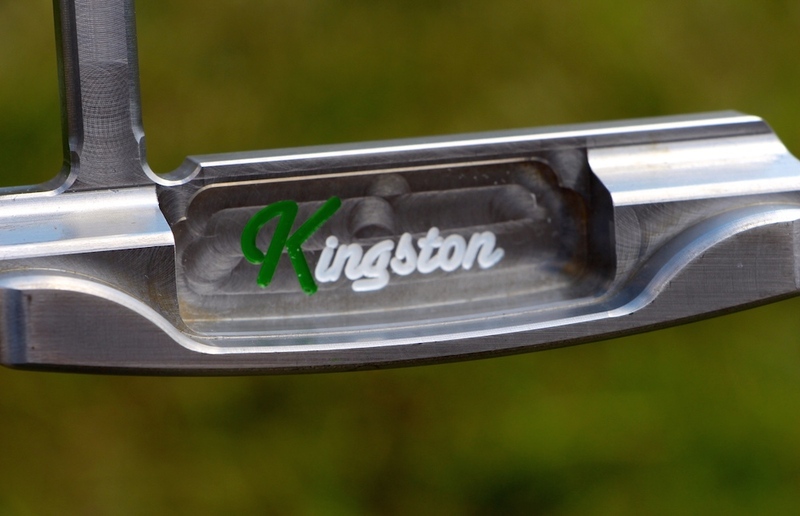 The putter was milled from a solid block of soft carbon steel, but this is different from Kingston’s other designs in that there’s no nickel or satin finish. 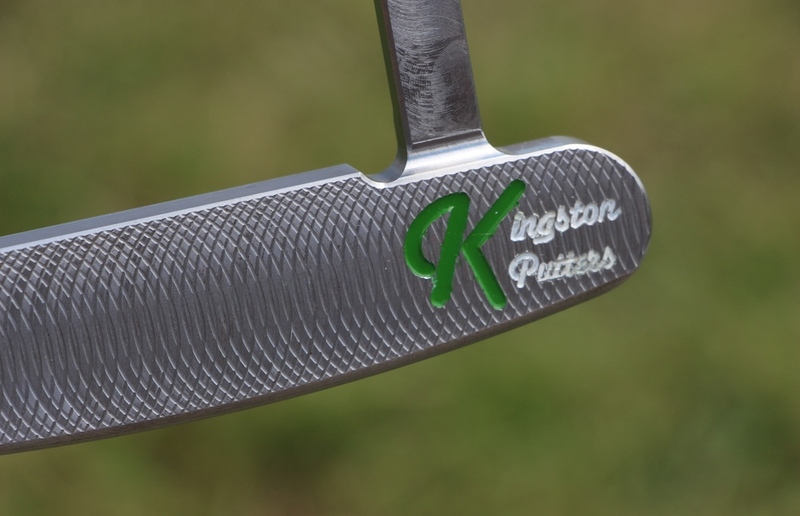 Sears, the custom designer from Kingston, decided to leave the putter with a raw look, which will produce a nostalgic, patina rust over time. Since it’s raw with no finish, remnants from the milling process are left all over the club head: a crude but flattering look. This a one-off, but knowing Chive Nation and GolfWRX, the demand will be high. “I’ve never seen anything that looks like this putter in my life,” Morgan said. Tech Info: We haven’t either. The Roll Abides was handmade by Byron Morgan himself. For this custom design, he used carbon steel in the back and aluminum in the front to make the back part of the putter two-third’s heavier than the front. 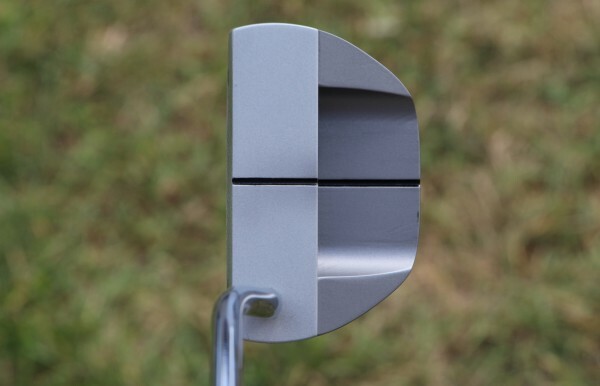 The cut out behind the putters’ face allowed Morgan to eliminate weight near the face, without a see-through cut seen from other putters on the market. 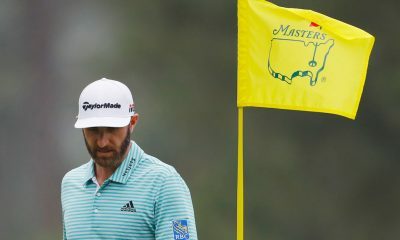 He described the club head’s profile as more conventional looking than other oversized mallet putters, with more technology to produce a higher MOI. 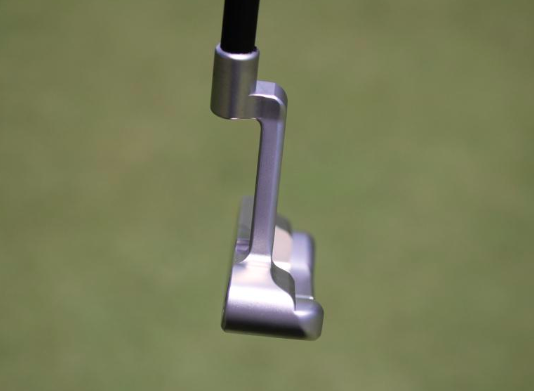 The weight proportions give the putter maximum forgiveness. 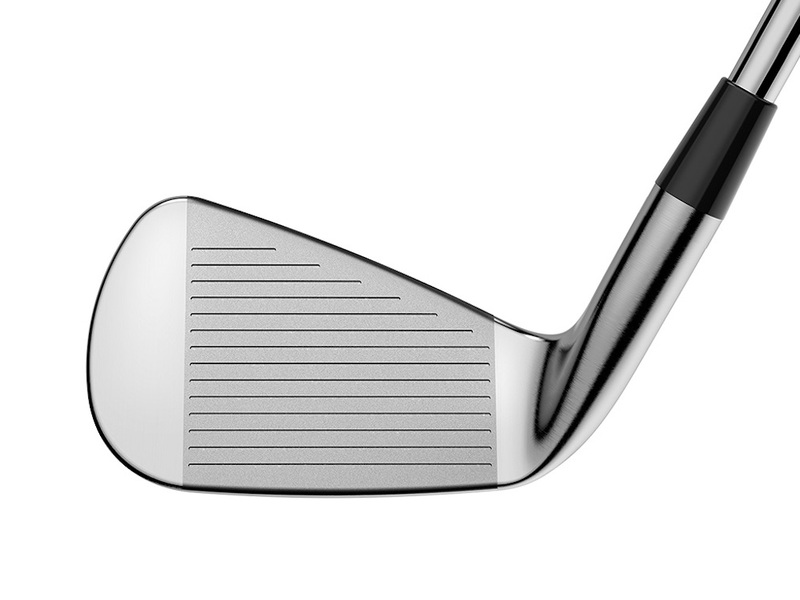 With a “Tight Tuna Mill” on the face, the face-milling has high points that grab the golf ball, which gets the ball rolling quicker on the ground. 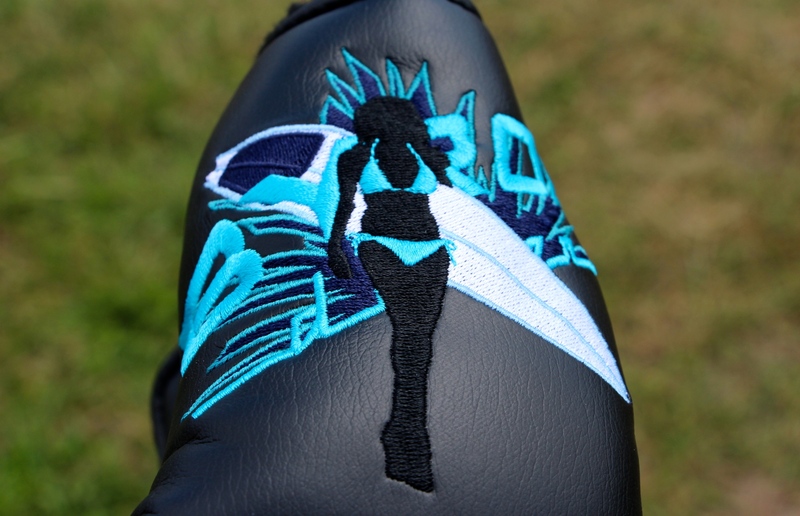 Surfing was a large part of Morgan’s childhood, which inspired the look of the custom headcover design. The woman’s silhouette is called, “Sally the Surfer,” who was named after his wife, Sally. 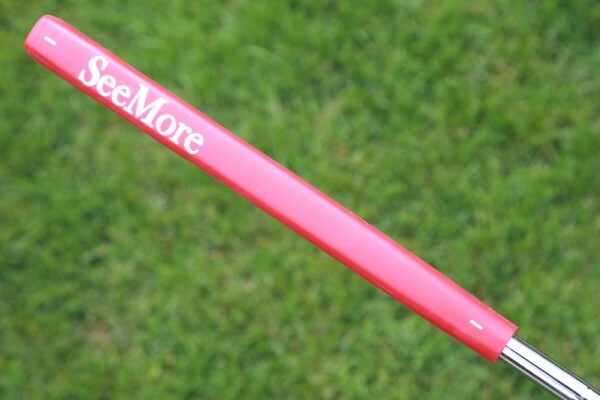 Tech info: SeeMore recently secured the patent for the “diving board,” as the company calls it. 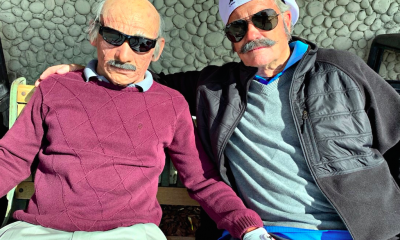 Of course, someone already has the patent for the one that sits near the deep end of your local pool, and both are currently non-USGA conforming. 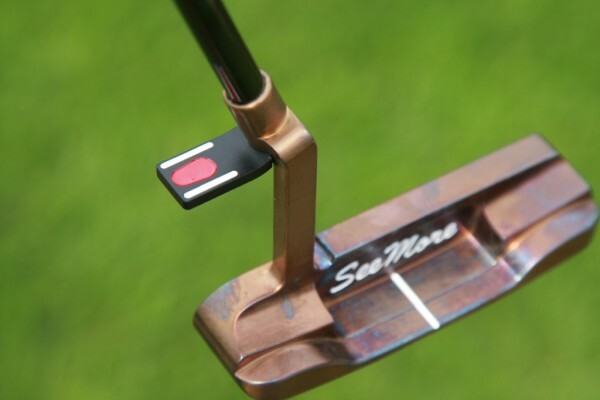 SeeMore’s putter does conform, however, if you take off the detachable aluminum diving board. 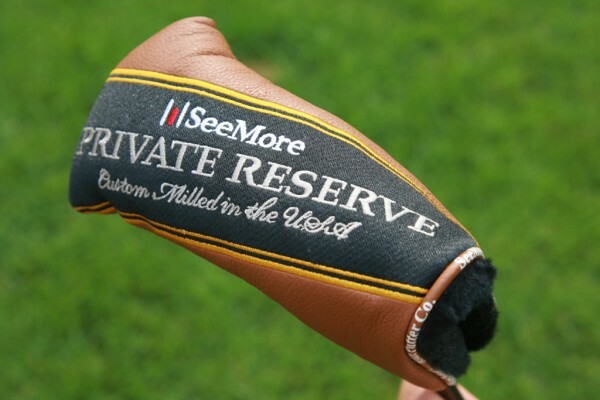 When it’s attached, it serves the same purpose as the company’s conforming Rifle Scope Technology (RST), which helps golfers make a perfect, arcing stroke time after time, but makes the technology available for putter designs with traditional offset. The one-off stainless steel putter was heat-treated and torched to achieve its honey-like finish, and its Argyle face design, which was created using the company’s diamond cut milling process, giving it a Scottish vibe. 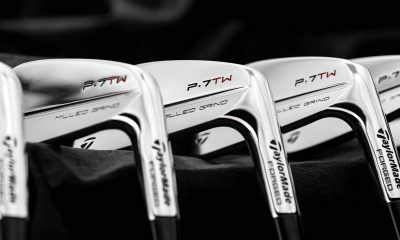 There’s only 25 of these putters in existence, and each has a different finish to make every one of them truly one of a kind. 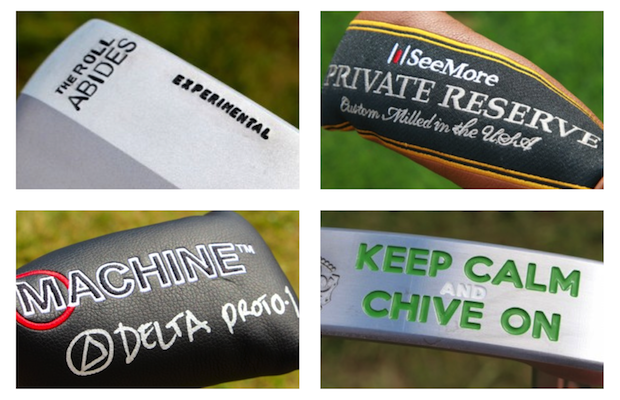 Which putter is your favorite? See what GolfWRX members are saying about these putters as well as dozens of additional photos in our forum. 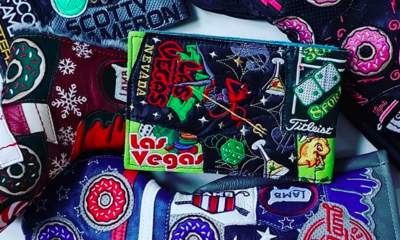 Note: Each of these putters will be returned to their designers. We would have (really) loved to hold onto them, but it would be wrong to keep them from their rightful owners. I love the Kingston KCCO putter. Would love to see how it feels, and would definitely bag it! I feel like I just threw up in my mouth… these are hideous! I’m a huge Morgan fan but the Machine is hands down the winner in my humble opinion. The mod selection is incredible even if it’s not my preferred shape. 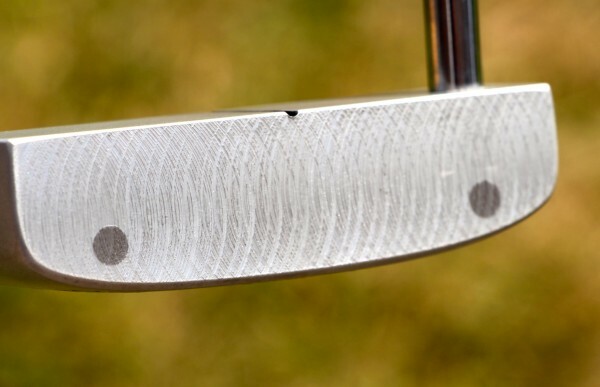 I drool nightly over their Damascus M9 putter minus the $4000 price tag. If any rich, childless couples are looking to adopt a 38 year old son your prayers have been answered. 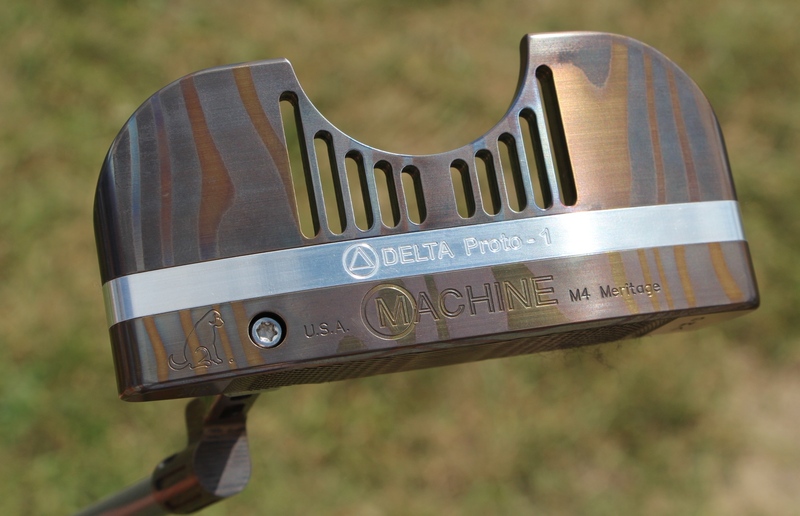 The Delta Proto-1 is a really beautiful putter. No matter than my favourite head style is the Kingston, in this post my attention went immediately to the Machine and the Byron. The Machine blew me away. 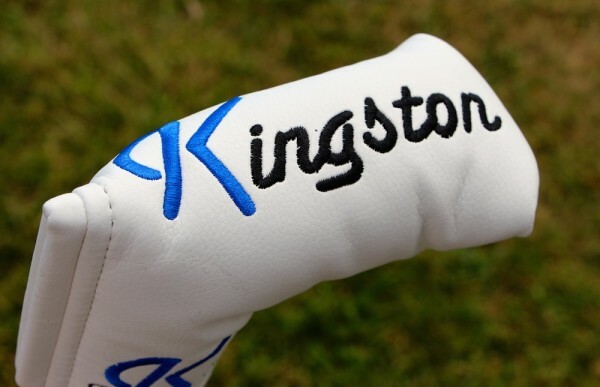 That’s an incredible design, truly a custom putter that can be customised at any time. Dave Billings is thinking out of the box with this piece that looks out of this galaxy. It would be super interesting to try it and find out how it performs. Not sure about those stripes though, I’d prefer a simpler finish. The Byron is elegant, unique an minimalistic up to the extent that it doesn’t say it’s a Byron. I like the idea of using two materials with the heavier at the back as it increases the MOI. 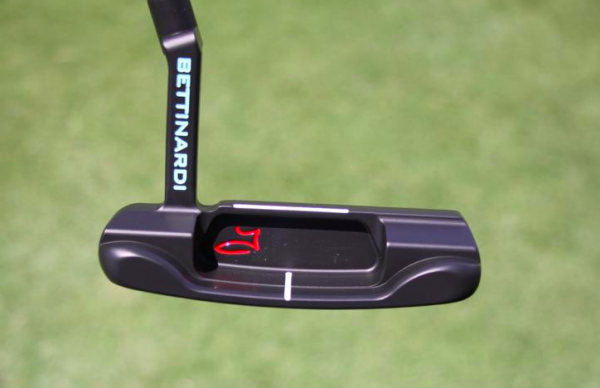 I guess that putts come “automatically” with this design. Isn’t the contest about being creative? Doing something new that the maker doesn’t normally do? Byron wins hands down. A completly HAND made all new model with all the modern day bells and whistles in an easy package. Two nice Anser heads and another pretty steam punked machined machine with a million parts. Hi No one method, as I’ve posted below, I hope you can see I didn’t just focus on the head with this entry, although the head does contain brand new technologies nobody had seen when we submitted it, including the alloy morph spacer (allowing you to change the shape and depth of the head), and the Delta Mods in the hosel (allowing you to change the loft, lie and toe hang / face flow). 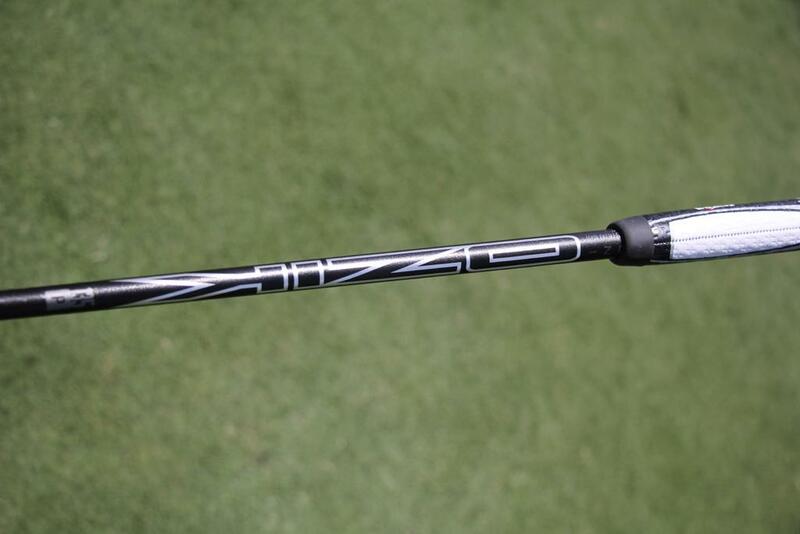 The shaft and grip technologies are also totally new – first seen in public here. I hope you’ll see the creativity and ingenuity in these systems and innovations. I do love the Byron too – it reminds me somewhat of my old HOG 1004 with the architecture being very similar but the lines more square. I am a Scotty Cameron collector and that Machine putter is fantastic. I love it when something with lots of modern features and interchangeable parts comes together so beautifully. 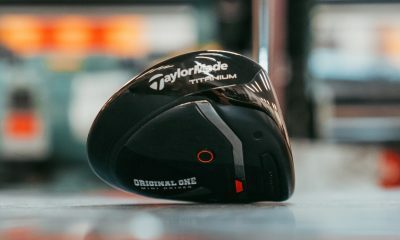 I think a lot of people, especially golfers, don’t try newer equipment because it looks odd or too different and with looks and feel being so important in golf it IS something that matters. Great work and that is definitely something I would LOVE to give a roll. Second place to me goes to the Kingston. 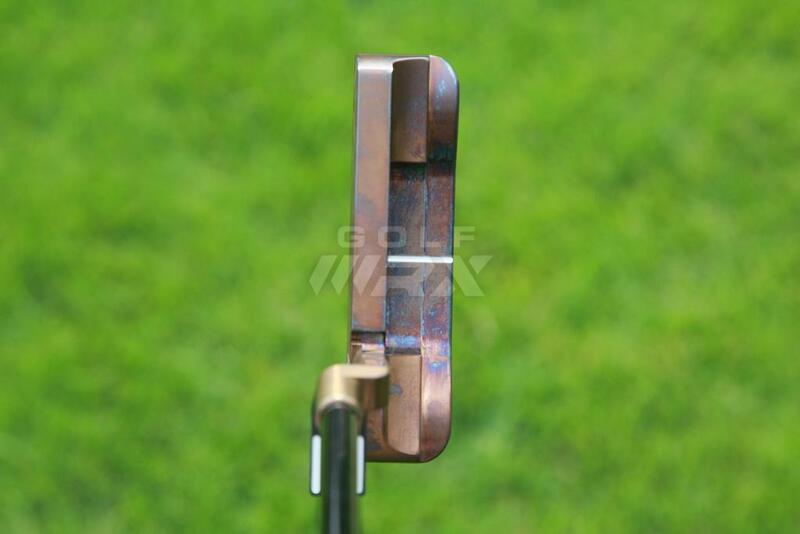 I am partial to the more traditional looking putters and even I get burnt out on seeing the same Anser style putters and looks. But when you pull it off this beautifully and make a great statement about the level of craftsmanship, people will notice. 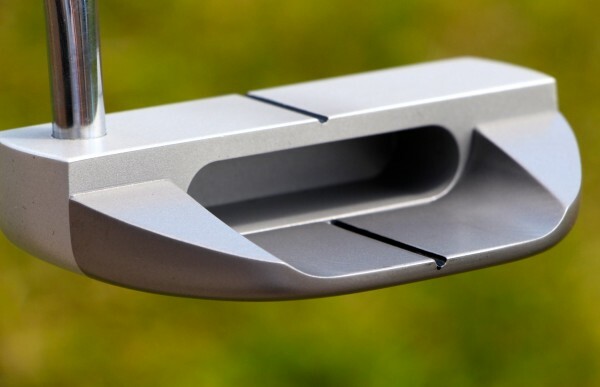 GREAT work, love the decision to keep it raw and let the milling shine, its beautiful, why cover it up with a finish? Great work. The See More is really well done too. It isn’t as striking to me but the removable diving board it cool. I was so glad when I read it was removable. I would definitely give it a roll. The Byron is the most ambitious and I think it looks pretty cool. It just seems to be slightly off? I thought that maybe a few small changes would make it more appealing. Knowing his craftsmanship I am sure it would roll it beautifully and I love the theme, but a few more touches and changes would be great. Thanks Drew! Really appreciate it especially coming from a Scotty collector. Just wish he and some of the other makers had joined us in this fun project. Maybe next one! If we are looking for the best PING Anser based design, MACHINE . Thanks J. Respect your vote and opinion. I hope the new technologies in the neck, spacer and grip and shaft do qualify as being original – at least that’s what we tried to accomplish with this entry. I love all the other entries and could have voted for any of them too. 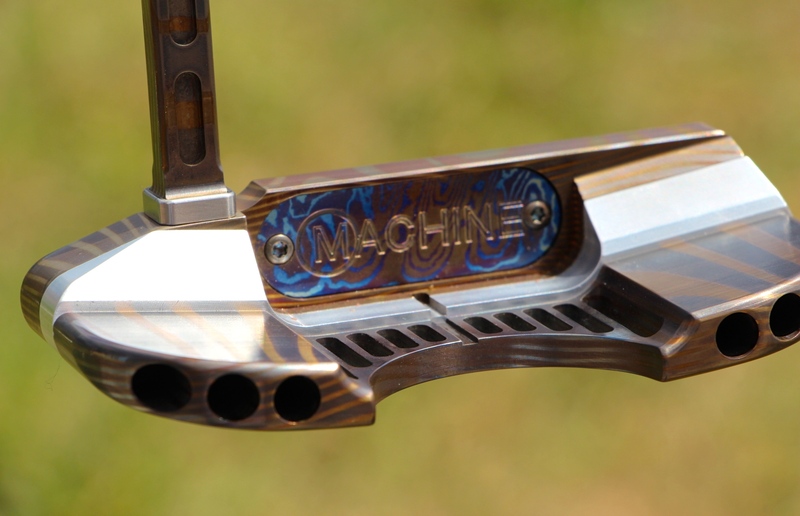 Machine is stunning. WOW! 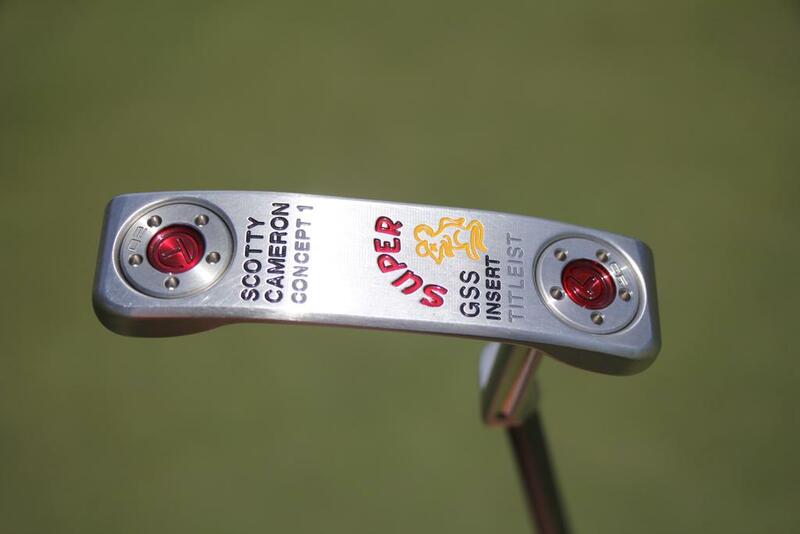 And, after putting with their putters for over a year now, nothing compares in feel and craftsmanship. LOVE, LOVE, LOVE!!!!!!!!!!!! Thanks so much Ed! I and the whole team here really appreciate it! (but you knew that!). Have to ask cuz it stands out to me, is that a steelfiber in the machine?? That Machine putter is sweet, really nice! 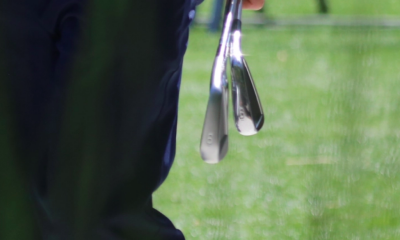 I love Byron putters, play with a DH89 and wouldn’t trade it for anything, but the one above is just not my style and not as cool as the Machine. 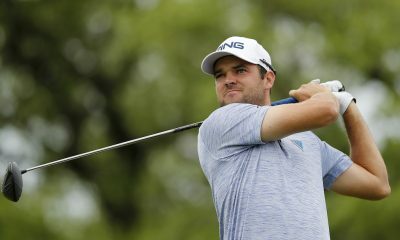 Hard to not vote Byron because I love his work, but with those 4 putters above, the Machine is where it’s at! 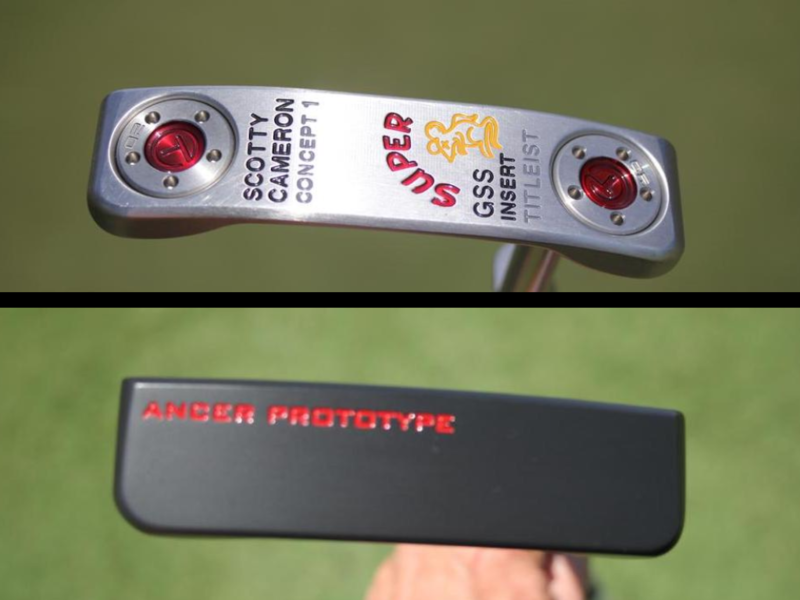 I feel like I’ve seen all the putters before except the idea Byron created. We have a Machine that looks like a Machine, and two Ping Ansers. Something new was the idea, right? Hi Merty, I hope you may have noticed the new Delta Mod Adjusters, the new Alloy Morph Spacer, and the new Delta Adjustable and Interchangeable grip and shaft technologies? All of these are brand new! Their is a putter maker from Melbourne,Australia..Mr. Kari Lajosi..his putters blow all these makers away. Oh yes! You are so right. Kari Lajosi deserved a spot here. That dog on the Machine is pretty awesome! 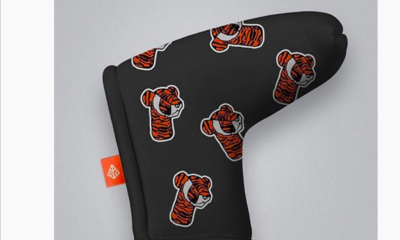 Thanks West – that’s our former family dog and mascot Birdie – she shagged balls for me when I was prototyping the very first HOG putter 20 years ago so she had to go into our logo. We engrave her on all heads now made in house in our machine shop here in Plano Texas (we moved from Dallas eight years ago). Birdie is now in doggie Heaven keeping everyone there happy and in stitches. Hopefully we are honoring her memory well. 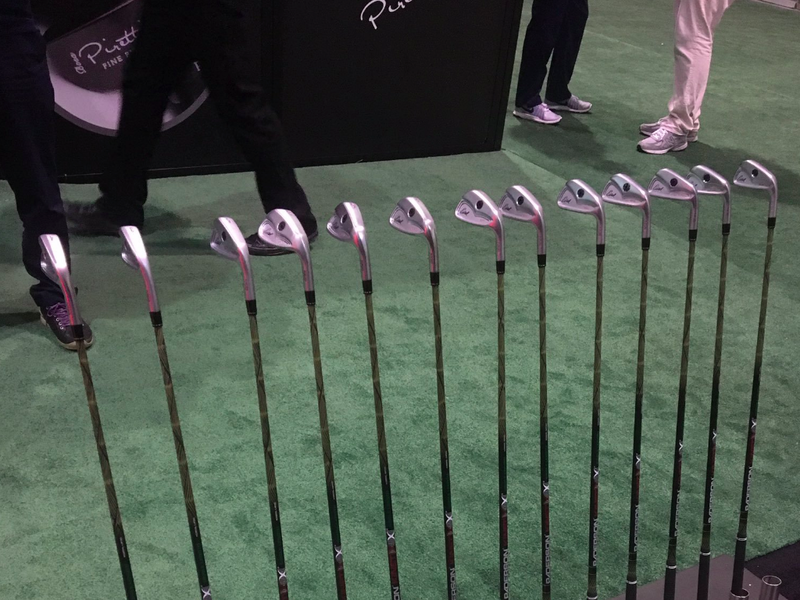 They are all fantastic putters. My vote goes to the Machine. The finish and look of that thing is gorgeous! Thanks Blink, so glad you like the finish on the Stainless Damascus – I actually used three different techniques – working to make the flanges match the head and hosel, but also tie in the colors from the Aerotech steelfiber shaft and the Aluminum HOG Grip. 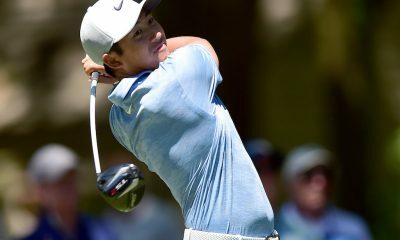 The Byron is the must see putter here..As usual..Byron is the winner!!! The Machine Delta Proto-1 is definitely the most impressive of the bunch, but the Kingston and SeeMore putters have a great look as well. 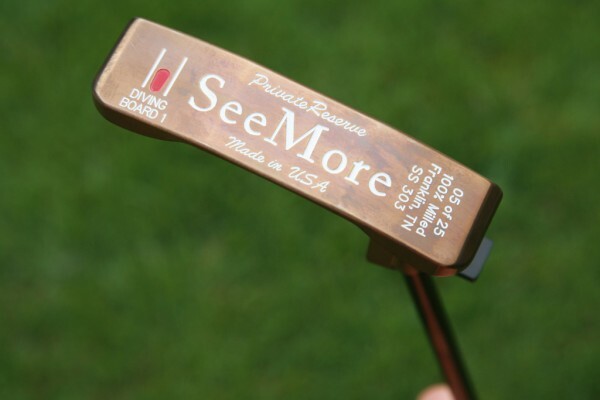 I especially like the fact that the “diving board” on the SeeMore is detachable so you have something to practice with, but a nice clean looking putter to game. 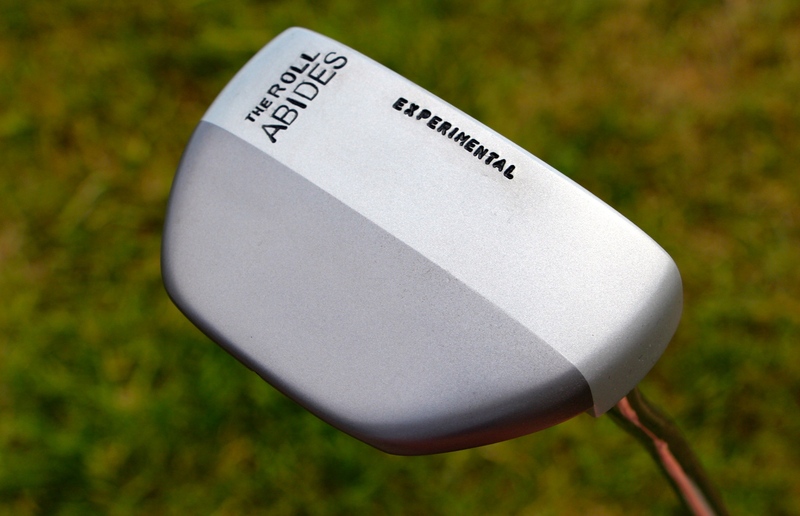 The Roll Abides mallet putter by Byron just doesn’t do anything for me. 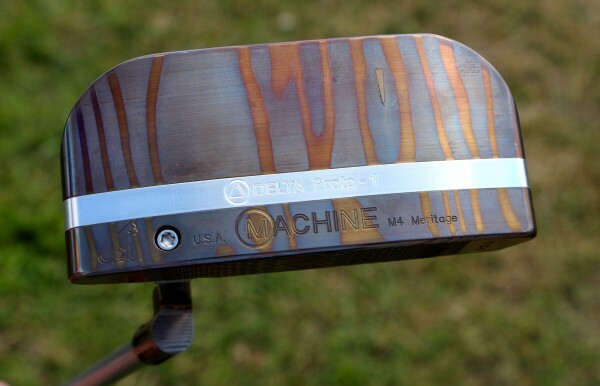 That Machine putter is insane. 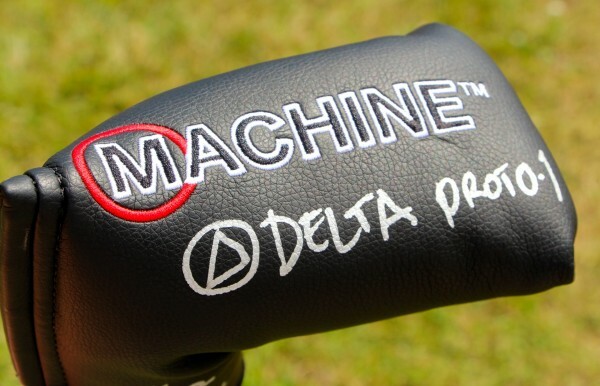 BestGrips Silver Carbon Fiber Pistol Putter Grip with the Machine Delta-1 Proto. What what! @Albert Sewill, thanks for the awesome grip! Very proud to show it off with our new Delta interchangeable and adjustable grip and shaft technology!